I habitually avoid words like resolution, because I think that its a really easy thing to do to assign arbitrary value to a day, get all whipped up into a frenzy of feel-good-ness and champagne, and make a whole bunch of promises that are most likely outlandish and end up making you feel guilty for another year. That being said, I do actually make New Year’s promises, but they are more like a vision of what I want to see in the next year. Out of myself, out of life, whatever it is. This is an exercise that a very wise therapist had me do one time, and the uncanny thing is that almost all of them came true. The theory behind New Year’s Resolutions rings true: that if you visualize yourself doing something in the new year, you are more likely to subconsciously or consciously make it come true. This year, I’m making a renewed commitment to living low waste. It’s surprisingly hard to do in today’s society, even in a city like Seattle, which literally doles out punishments for not composting in your city waste properly. But I will keep plugging away, because I do believe that even one voice can make a difference, and together, a thousand tiny voices makes a roar. A roar for arresting climate change, a roar for stopping deforestation in Indonesia, and a roar for sustainable solutions to daily life. Here’s what I’m proposing. I’m posting ten fairly simple things that you can do to get your year started off low waste. These are all things that I’ve done, and some are more complex than others, but they all require fairly minimal impact on lifestyle, so they’re a good way to get the ball rolling and start your journey into low-waste. 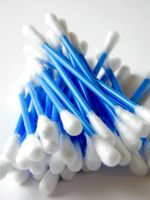 Replace your plastic applicator Q-tips with paper Q-tips…much more biodegradable AND if you live in a city that does compost or you have your own compost pile, these are compostable! Stop using paper towels and those disposable cleaning/disinfecting wipes. Not only do they contribute to antibiotic-resistant bacteria, which is becoming a terrifyingly real and big problem, but they are also non-biodegradable and they leach toxic chemicals into the landfill “soup”. May I suggest those old T-shirts that you have in the bottom of your drawers (and I know you have them), or the socks with holes in them that you haven’t thrown away yet? 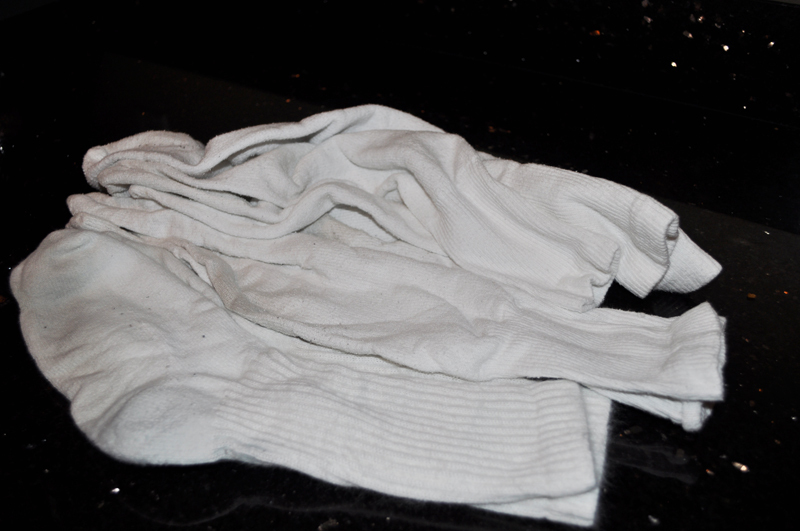 They both make perfect rags, absorbent and a little rough, and require VERY little effort to create them. Ditch the plastic / throw-away plates and cups and utensils. I know how much easier it must seem to do that over washing countless dishes, especially when children are involved. But its a fairly easy habit to break if you resolve to do it. Check out these reusable bamboo utensils that you can carry around with you – instant utensils when you need to grab food quickly! Ladies, check out this idea: reusable menstrual pads. I can hear the cries of terror from here. But I’ve been using them for over a year now, because I couldn’t stomach the LunaCup idea, and I actually find them very adaptable to living. Yes, they are a little bulkier. But here are some alternate ideas: LunaCup, if you’re strong of heart and spirit. Tampons with cardboard or no applicators instead of plastic applicators (easy switch, way better for the environment). Make your own soap! Save a bottle a month by ditching the body wash that is full of harsh chemicals anyway. There’s this great book out there for simple soap making recipes, and as you can see, my fiance has become quite the soap making. Quite. Most of these recipes won’t take more than an hour to make, and you end up with soap for days. They even have luxury bars and fun spa bars. Ladies and gentlemen, this one is for you. Why not try a completely plastic free, non-disposable razor? I just recently switched to this myself, and I find that it has no effect on the quality of my shave without all the whizz-bang moisturizing strips and extra blades that they shout about on the television, and the whole thing is completely recyclable. Check out Life Without Plastic! Buy in bulk!! 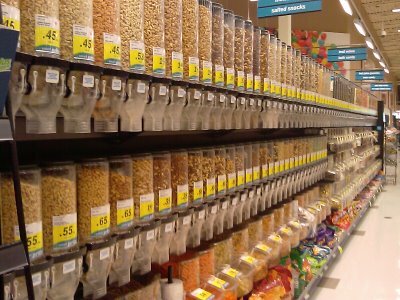 Stores are carrying bulk items in increasing demand, and although it is more convenient to pick up just a single package of raisins or whatever, you will save money and packaging by doing bulk runs in the future. Nationwide, PCC, Sprouts, and Whole Foods definitely have bulk selections (but PCC is a wonderland of bulk). Ditch the plastic water bottles…for good. There are so many options out there these days, and so much research that points to toxins being able to transfer from the plastic of heated water bottles into the water itself (and thus, into your body), it just makes good sense to ditch ’em. Plus, its good practice for when your city pulls a San Francisco on you and bans them! Check out Klean Kanteen for metal water bottles of all shapes and sizes and Nalgene for plastic water bottles. 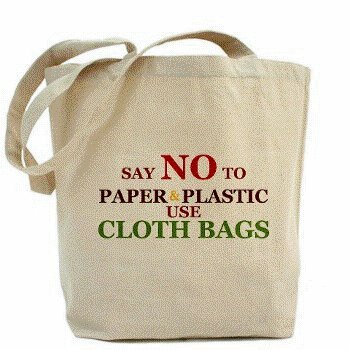 Stash ’em in the trunk of your car, or you will invariably forget them, triggering cursing and (if you’re me) spontaneous purchases of additional cloth bags, leading to an extended family of cloth bags that overwhelm your storage space. 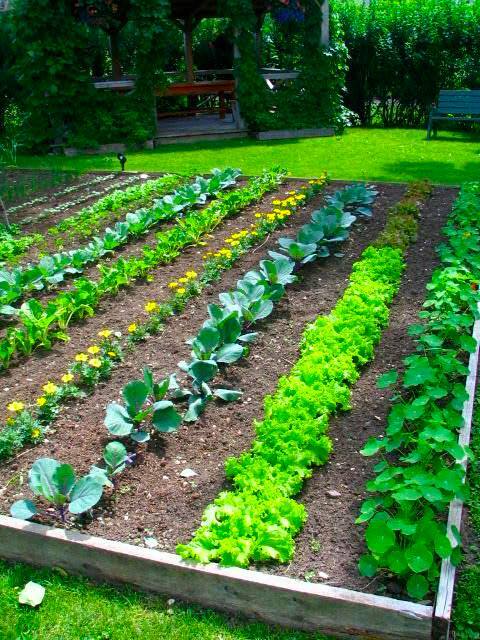 Start a victory garden! I have a container garden in a small space, but if you’re lucky (like the people above), you can really go crazy. Grow things that you use a lot of, or that are hard to find, or just whatever pleases you. I love growing herbs because they smell nice, and lavender because the bees love it, and any and all vegetables. Alternatively, think about where your produce products are coming from…start the process of buying local goods (farmer’s markets are heaven) or seeing about a CSA, etc. So, there it stands. Some fairly easy things you can do to start this new year off in a earth-friendly way. If you have suggestions, I would love to hear from you! January 1, 2015 in Sustainable.